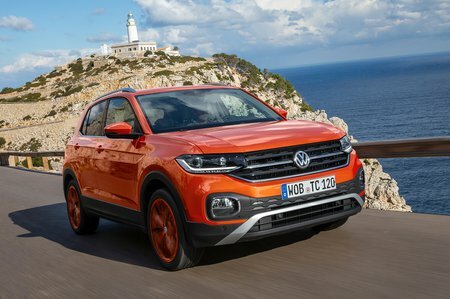 Volkswagen T-Cross Running Costs, MPG, Economy, Reliability, Safety | What Car? S trim looks temptingly priced but, as you’ll see in the equipment section below, leaves you wanting for toys. 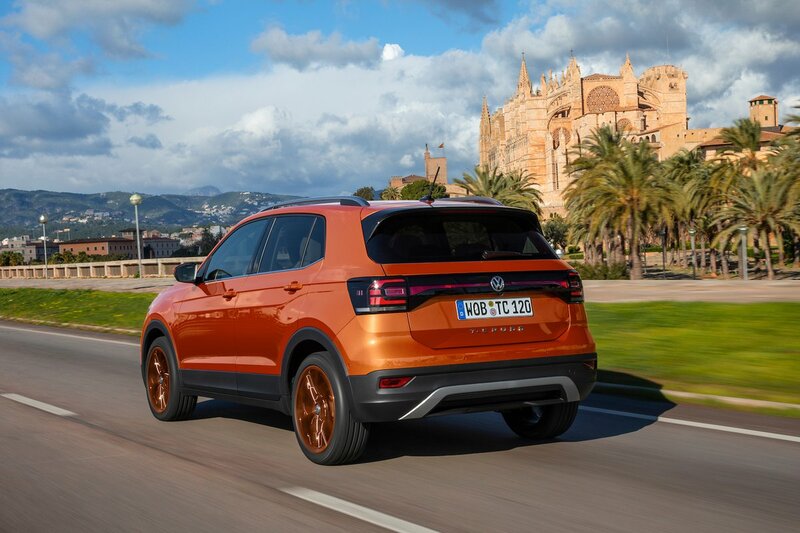 Our pick of the range is the SE grade, which is equivalent to the Seat Arona SE Technology on both price and specification. The Kia Stonic is cheaper to buy outright, but both the Stonic and Arona have weaker predicted resale values than the T-Cross. That should help the T-Cross compete very effectively when it comes to PCP finance deals. If you’re a company car user, the T-Cross’s relatively low CO2 emissions are very similar to the Arona’s (it shares the same engines, so that’s no surprise) but are vastly lower than the Stonic’s. The same is true when it comes to fuel consumption; the T-Cross is rather more economical than the Stonic. Entry-level S trim is pretty basic — its highlights are 16in alloy wheels, air-conditioning and electric windows — and we’d suggest a step up to SE if you can. SE adds 17in alloys, adaptive cruise control, automatic wipers and a leather steering wheel and gear knob. Options that are worth considering include the Winter Pack, which adds heated front seats and heated washer jets, and keyless entry. SEL has quite a lot of niceties that are worth having, such as dual-zone climate control and privacy glass, but the hike in price is enough to make you think twice. Steer clear of R-Line; it’s expensive and mainly adds styling additions that have no tangible benefit to the way it drives or accommodates. The T-Cross is too new to have appeared in our latest What Car? Reliability Survey. However, though we can’t measure the car, we can measure the brand. VW itself came mid-table in the manufacturer rankings, finishing 17th out of the 31 we surveyed. For context, that puts it below Seat but above Audi. What protection do you get if things do go wrong? A three-year warranty, limited to 60,000 miles, comes as standard with every T-Cross. That’s typical of many rival manufacturers, but not as generous as Hyundai’s five-year, unlimited-mileage warranty or Kia’s seven-year, 100,000-mile package. There’s no EuroNCAP safety rating for the T-Cross yet — it’s far too new for that. 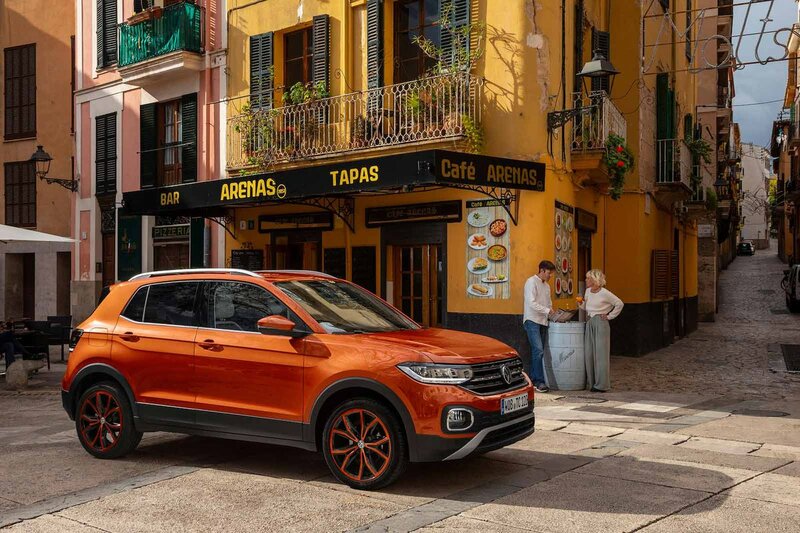 The Seat Arona is structurally very similar to the T-Cross, though; by which barometer we can be quite confident that the T-Cross will match it with five stars overall and impressive adult occupancy protection. SE trim adds a driver fatigue monitor, which tells you when to take a break, and SEL includes traffic sign recognition, so there's no excuses for not keeping to the speed limits. Moving to the security side of things, an alarm is optional on the entry-level S trim, but standard on the rest of the range. The T-Cross is exactly what many Small SUV buyers are looking for. It’s very comfortable and easy to drive, without feeling like a wallowy barge for those that like a car to entertain. It’s very roomy for its size, yet small enough that it’s easy to handle in town, and is competitive on running costs — whether you’re a company car driver or a private buyer. In short, it’s the best all-round Small SUV you can buy.